See our drool-worthy catering menu, including paella, tapas, salad, bread, and desserts. Vegan paella option available. All our paellas are naturally gluten-free and dairy-free. Our Northern California paella catering company makes any occasion a full-on celebration. And with our two service locations and big paella pans, we cover and cater to a wide area. Looking for a paella caterer in Greater Sacramento, Sierra Foothills, or Tahoe? We’re on our way. Discover our golden-hued rice in Gold Country, our mountains of aprés-ski tapas in South Lake Tahoe, and our always perfect pairing of paella in Wine Country. Sacramento, El Dorado Hills, Granite Bay, Roseville, Placerville? Yes, yes, yes, yes, and yes. Auburn, Jackson, Murphys, Linden? Sure! We don’t believe there’s such thing as a geographic disadvantage. (At least not that a reasonable travel fee won’t handle.) Need a paella party caterer in Marin County, Sonoma County, or Napa County? No problem. Whether you’re planning a winery event, wedding, private party, or corporate event—from the top of a mountain to the far edges of the coast, and just about everywhere in between, Yay!Paella Catering brings everything we need to cook up and serve a sizzling, sumptuous paella feast for you and your guests. As the late, great Johnny Cash sang, (We)’ve been everywhere, man. Or as we like to put it, Have pan, will travel. Contact us today to cater your next party in a pan. 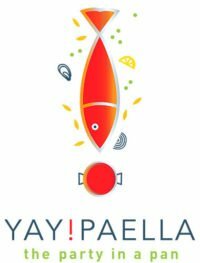 Copyright 2016 - 2017 YayPaella! | All Rights Reserved.